There is a craft to storytelling. Much of that craft has to do with the structure of the story being told, the construction of its narrative. Many authors build this construction first, before filling the first page with text. The process of planning how the story works is known as outlining. There are significant benefits to outlining. For one thing, going through this process usually entails fewer rewrites later. When the author knows the direction of the storyline, it is easier to keep all its threads under control while writing. Without this direction, there is a danger of losing the plot half way through. Of course, any story is “told”. It therefore has language – text, if the medium the story is presented in is, say, a book. Film has language too. But apart from language, stories have structure. It is in building this structure that Beemgee can help. Structurally, you can break story down into component parts. Beemgee can be used to analyse the structure of existing stories. Or you can use Beemgee to structure new stories that you are conceiving – to outline them before writing them. By helping you create a solid structure for your story, Beemgee can help you turn your story into a “visceral” experience. If a story works, the recipient – the audience or reader – experiences it as just that: an experience – meaning that a story is successful when perceived and processed emotionally as well as intellectually. Or as it is sometimes described today, a good story is visceral. At best, the recipient will have been changed just a little bit by that experience, because that’s what experience entails. Stories have characters. All of them do. Authors devise characters, just like they devise plots. Often, the act of devising a story cannot be easily divided into plot and character. Indeed, why would any author want to? Characters arise out of plot ideas as much as plot ideas arise out of characters. For a character to function well within a story, he or she must exhibit certain properties or aspects. We are not talking about height or hair colour here. Those might be interesting, but they are – structurally speaking – mostly irrelevant to the story. Far more essential to the development of the story are aspects such as each character’s motivations (problems, want, goal, needs) and the obstacles he or she must overcome. The first tool we built was the Beemgee Character-Builder. It helps authors to find, hone or sharpen such essential aspects of the major characters. By doing so, the author will at the same time hone and sharpen the plot. The Character-Building Tool is now one part of Beemgee’s online toolset for authors and anyone who deals with stories. It is free in the basic version of the software. Our Plot-Outlining Tool is used by novelists and screenwriters to structure plot, and is also free in the basic version of the software. The PREMIUM version is available as an annual subscription. With a PREMIUM account, you will be able to save several projects in various drafts and you will benefit from a number of special features and functions that will help you conceive and professionalise your stories. Help us provide the best tools possible by giving us your feedback – and by recommending Beemgee to your friends and colleagues. Ah, but what about language? Language is one of the most important components of story. By language we mean not just English, or German, or Korean; and not just text, be it prose or poetry. We mean the language of the medium. For example, the language of film involves moving pictures and sound – more specifically it involves lighting, production design, sound engineering, camera operation, etc. etc. The language of prose or poetry involves text, which means dealing with grammar, orthography, syntax, semantics, etc. Beemgee cannot help you with any of that. Beemgee is not about language. But Beemgee can help you with storytelling, dramaturgy, structure. Apart from language, stories have plots and characters. Creating plots and characters is a craft. A craft is learnable. That’s what Beemgee concentrates on. 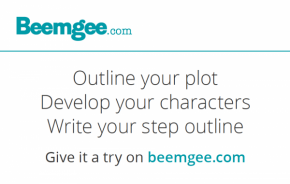 Next to this blog, Beemgee is a plot outlining and character development tool that is so easy-to-use that anyone can create emotionally engaging stories. Ah, but what about meaning? The meaning of a story comes out of the story. The story is the vehicle for meaning. Whatever level of meaning an author is interested in – be it allegory, parable, symbolism, psychology, the truth of the human condition, or just a ripping good yarn – ultimately it is carried by the story. The most deep and meaningful stories ever, whether for you that is James Joyce, or William Faulkner, or Homer, or Robert Musil – not to mention holy texts such as the Bible, the Torah, or the Koran –, they all describe events (plot) and people (characters). Beemgee cannot really help an author create meaning. But we can help an author communicate meaning. Techniques and structural devices exist to make meaning clear to the audience or reader. Beemgee will point them out to you, without ever being prescriptive. Ultimately, the more effective the story, the more likely the recipient is to glean meaning out of it. And with that, we do not mean solely the author’s intention, but also the interpretation and understanding each individual recipient brings to bear on a story.